Which is exactly what this Good Shepherd did. 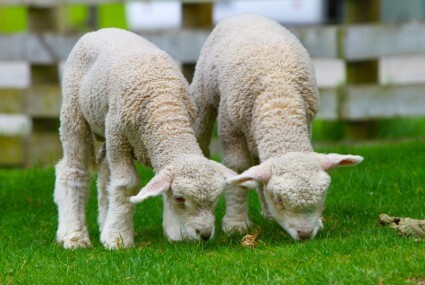 In other New Testament Scripture using the Greek word poimēn, shepherds are described as having compassion (Matthew 9:36, Mark 6:34), gathering their sheep (John 10:4, 16), keeping watch over and guarding their sheep (Luke 2:8, 1 Peter 2:25), and proclaiming the glory of God (Luke 2:18, 20). I was nothing if not a lost and broken sheep. Yet somehow, He called me from the dark, and I came to Him. It was a slow process. I clung to old habits, to control, to fear and self judgment. For a long time, I remained convinced that I was not worthy to step over that threshold. But I could hear love call. I could hear peace call. It was a stronger, more compelling voice than my own. My prayers and attitude in my prayers have changed significantly over the last several years. I started out my believer’s life praying for things. I prayed for jobs and money and explanations. I prayed for healing from cancer, and help with identity theft and discernment with decisions. Are all those legitimate thing for which to pray? Of course. Did God answer my prayers? Yes, He did. But not always in the way I thought they would be answered. Over the years, I began to see that my small prayer life centered around me and my desires rather than God and His will. While God answered my small prayers, I saw that He had bigger plans for me. If I was willing to step out of my plans and into God’s plans, if I was willing to shed my tiny viewfinder of wants, I could see that God had a panorama of needs He wanted to fill through me. Let me say that again in a slightly different way. If I am willing to remove my own lens, I can see through God’s eyes. As a result, He can work through me. Jesus saw everything through our Father’s eyes. Our Father provided for all Jesus’ needs. Just as Jesus fed the 5,000 and the 4,000 after that, the Father provided food for Jesus, provided shelter and clothing. Jesus, while human, could have seen through human eyes, but chose to remain fixed on his Father’s view. He could have saved himself, but instead chose to save us all. Now, as I meet with Him every morning over coffee, my Bible and my prayer journal, I thank Him for being my Shepherd, for calling me when I was still lost and broken, and for providing for my needs. I thank Him for birds that sing His praises and His delight of me. I thank Him for a new day and new mercies. I pray for guidance. I pray for wisdom. I pray for His love to grow in my heart. I pray for the Spirit to help me practice and embody His fruit. I pray for others. I pray to remember Jesus’ words, and to understand His intent. I pray for God to search my heart and help me to obey. I pray to see through His eyes. Your posts are beautiful. One can hear the voice of Jesus speaking through your words. Susan, I like the analogy you made about the lenses. It’s our quiet times that allow God to replace our macro lens with the wide angle lens of God’s will. I sure can’t envision anything without the Spirit’s help. and I thank God for you and your prayers! Warm hugs back to you, Natalie. Your words warm my soul tonight. I love that he’s holding a black sheep in the first picture…this post and especially the verses in Ezekiel give me hope and a new perspective in my prayers for a prodigal child. Thank you. I love that picture, too. I always felt like the black sheep in my family. This picture represents how His comfort has enfolded me. So glad it connected with you, too. “To associate with as a friend. “Shepherds are described as having compassion.” ” Keeping watch over and guarding their sheep.” Just some of the things I love about Jesus! The love of Jesus pours forth in these truths. Thanks for sharing, Susan! His faithfulness can be described in so many ways. Compassionate always seems to be one of the first few on my list. Thanks for stopping by, Terese! I once bought 50 sheep for my farm just to experience the job of a shepherd. It was a truly great experience and a lot of work too. 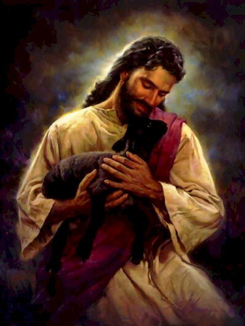 Our Lord is full of grace tending all of us wayward sheep. Nice post Susan. Lord bless you!! I certainly was a wayward sheep when He found me. Thankfully before I wandered off a cliff. Thanks as ever for stopping by my corner of the pen, Levi. “Let me say that again in a slightly different way. 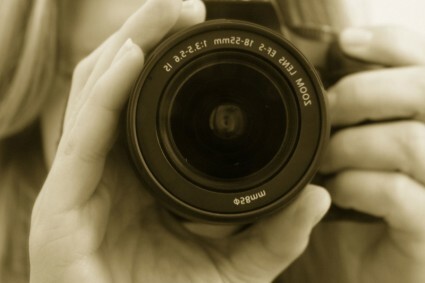 If I am willing to remove my own lens, I can see through God’s eyes. As a result, He can work through me.” You said it perfectly here, Amen and amen! That’s what makes the difference, it’s how we actually grow. Like you said, Jesus saw through the Father’s eyes. We are to do the same. Awesome post. Blessings. Thanks, Mel. Sometimes difficult when we might need a new prescription, eh? Yup, I hear you. I can add plumber bills from frozen water pipes last winter, a new roof and a flooded basement..but, yet, here we are, alive in His hand, as the song goes. Imagine that! He’s actually REALLY good at taking care of us. And thanks. 🙂 I’m glad you were blessed by the post. Those clips wreck me every time I see them. Have an awesome weekend yourself. Blessings. This particular paragraph really jumped out at me this morning. Recently I have notice a huge shift in my own prayer life as well. The amazing part for me is that as my prayer life shifted, so has my personality. I feel supported and secure. I no longer constantly fear the future. I feel that everything, even the sad parts of life, are as they should be. “…the main thing prayer changes is the pray-er.” Amen to that, Melanie. I can see the change in myself, slowly, subtlety over time. When I first came to believe, that peace beyond understanding happened immediately – it transformed my entire life. Yet, over the last eight years, through continual faith and prayer, it has dug deeper, planted roots that spread and reach down to my core, anchoring my soul. Powerful words and reminders to do likewise in our own lives. The best antidote to sorrow and neediness is gratitude to Him and for Him. Absolutely, Beth. My joy in Him brings tears to my eyes sometimes. He carries me close to His heart, and I can feel the rhythm of it beating. “I pray for guidance. I pray for wisdom. I pray for His love to grow in my heart. I pray for the Spirit to help me practice and embody His fruit. I pray for others. I pray to remember Jesus’ words, and to understand His intent. I pray for God to search my heart and help me to obey. Oh, thank you, Uju. It is day by day, walking toward Him into His gentle embrace.I’m glad to be on this journey with you.